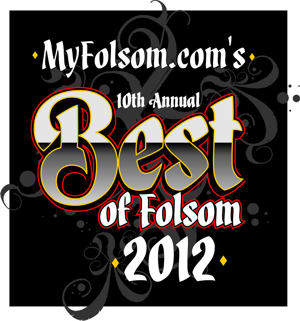 It’s been 10 years since we started the Best of Folsom campaign. Folsom has changed quite a bit! 10 years ago, Palladio Mall was a mere dream and an empty field, while Broadstone was largely undeveloped as well. The Iron Point shopping area was largely barren as well. The last 10 years have been good to Folsom. This year, we decided to mix it up a bit. The goal of the Best of Folsom was to recognize local businesses and hopefully drive a little traffic their way. After all, Folsom dollars should support Folsom businesses! Since our goal was to support local businesses, we removed a number of chains and fast food restaurants from a number of lists. Though it likely did not impact many results, we heard your feedback. Next year these fast food restaurants and notable chains will be back, but we have some ideas to mix it up a bit. Stay tuned. Hats off to Chicago Fire! It was a good year for them. Not only did they open their second location in Folsom, they were also your choice for Restaurant of the Year. It was a good year for Bidwell Street Bistro as well… 4 awards and Best Waitress! Not bad! Best Place to Ride out the 2012 Apocalypse…! Can you believe this effort has been going on 9 years now? The great thing about this contest is that there’s always a great new business around the corner. It wasn’t too long ago Jack’s or Manderes were in the fray, now they dominate the awards. This year we did a run-off with the top vote getters for Restaurant of the Year. It was a good year for Fat’s… not only did they clean up Happy Hour, Appetizers, and Chinese Food, they scored as the Best Restaurant in town. If you only have one night to experience Folsom, it’s hard to go wrong at Fat’s. Best Folsom Event 1. Folsom Live!